We are passionate about saving lives. 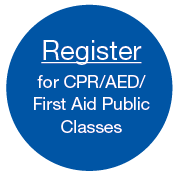 Learn CPR/AED and First Aid skills in a relaxing and low pressure atmosphere. Our classes are fun, but informative. Most of all, we want you to leave with the knowledge and confidence to perform life saving skills. Why hands-on training is a must. If you do a web search for “online CPR certification” you will find a multitude of resources to help you. Get instant CPR certification! Get your CPR card in as little as 30 minutes! "I know I will feel more confident when I babysit for my grandchildren after taking this class." 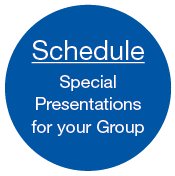 "Barbara gives a very good presentation every time. Very educational." "You offer a very complete program. Thank you!" "Barbara provides great instruction in a relaxed atmosphere." "Always a painless way to reinforce learned material." "Barbara always makes me feel comfortable to ask questions. She always brings excellent aids and other people." "Very enjoyable. The class size was small and there was ample time devoted to practice. The atmosphere of the class was relaxing and interactive." "The class is very informative!" "Concrete examples [were] very helpful and compelling. It was visual,auditory, and kinesthetic....humorous too." "The additional instructors were very helpful...had useful info to share." "Barbara is wonderful! Makes a tough subject easy to learn! Friendly, funny, patient, informative, happy! Support staff was great too." "Thank you very much. I learned a lot; everything was very clear and well explained." 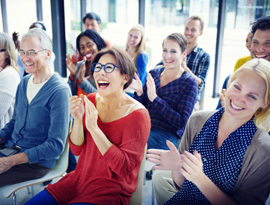 "Your training was fantastic! All the teachers talked about how wonderful it was. It was very informative yet not overwhelming. 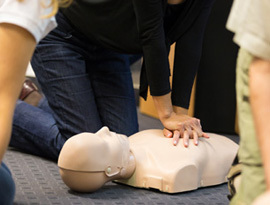 In 11 years of CPR and First Aid trainings, it was the best one I've attended." "Excellent job! Very informative and thorough! Thank you!" "Great job! Very knowledgeable, concise. Great examples!" "Very thorough...well organized. This was the most comprehensive CPR training I have had yet." "The perfect blend of educating, personal experience, seriousness, and laughter." "Even though I didn't know much coming in, I left with a great understanding and desire to help others." "Best training I have ever had. Great props." "My 3rd or 4th time with [Health Ed of New England], excellent and thorough. Very nice!" "I really enjoyed the class. There were many new things learned that may come in handy." "Your team's energy and experience brought the material to life." 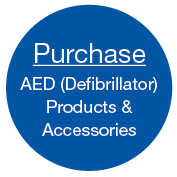 "Excellent instructor...Makes everything easy to understand and puts you at ease to attempt CPR." "In all my years of CPR and first aid trainings – and there have been many – this was outstanding. It was by far the best." 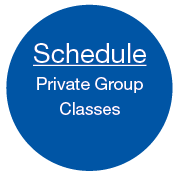 "Barbara is always clear, knowledgeable, pleasant, and personable; it's a great class."